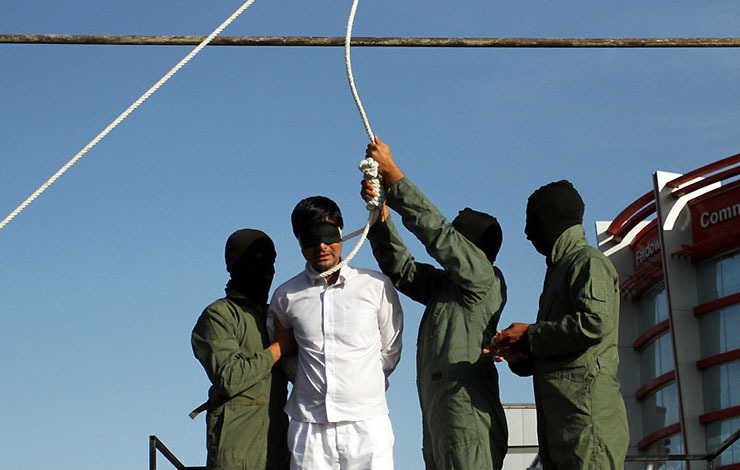 If the condemned struggles after being released, the prison guards will typically pull down on the rope to speed up the death. 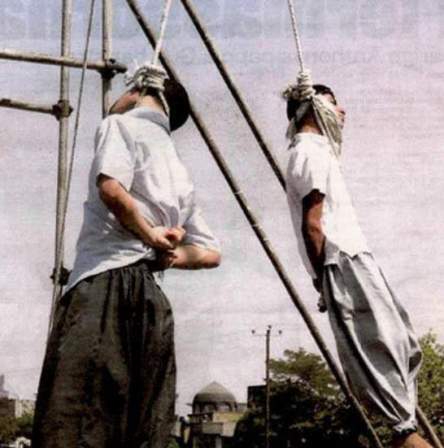 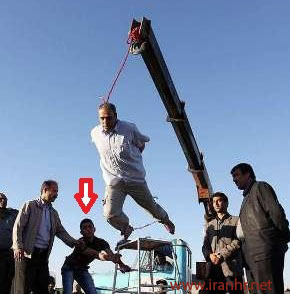 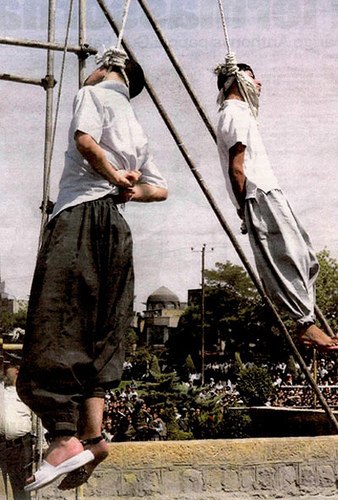 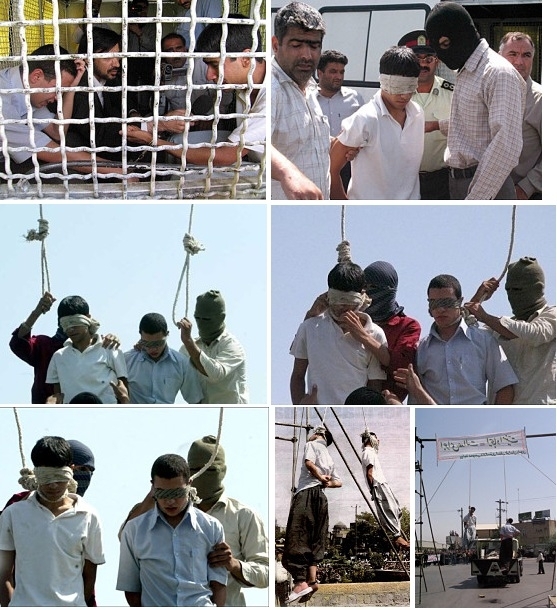 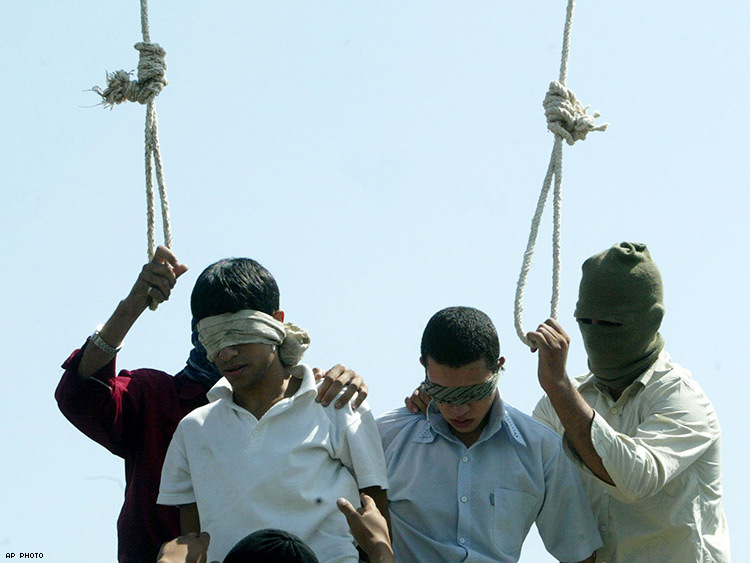 On 5 January , a man only identified by Iranian media as "Yaghub" was hanged in the main square of the Sa'adat Abad district in Tehran, where he had in October murdered a man by repeatedly stabbing him and then stood over the victim while he bled to death threatening to kill anyone who intervened. 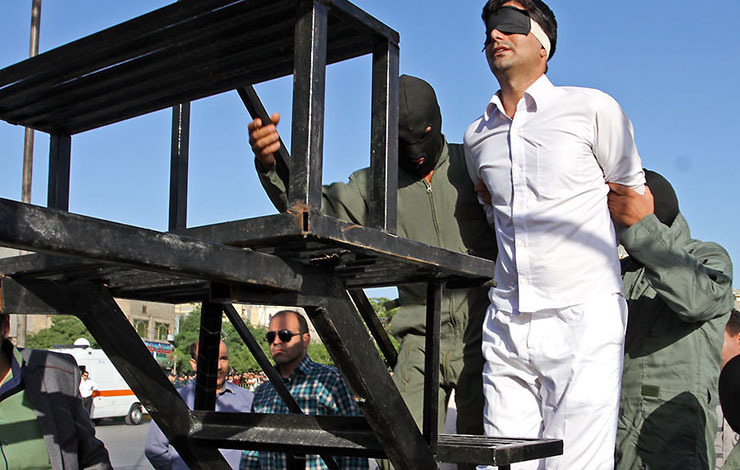 He was convicted and pilloried some time since for unnatural practices.